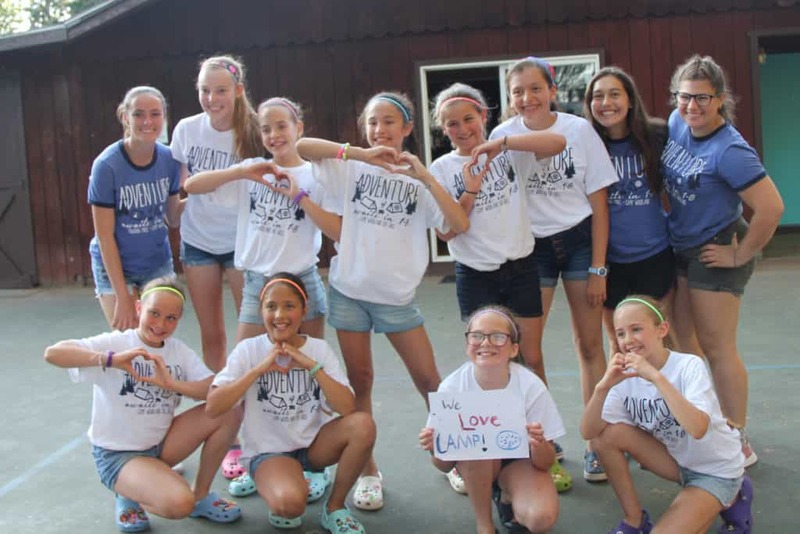 Camp Woodland | Happy International Camp T-shirt Day from Tamarack! 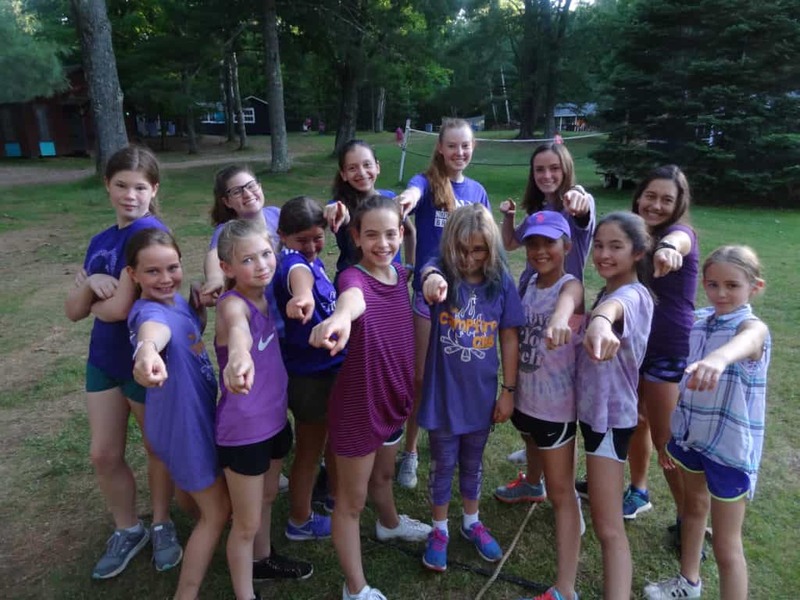 Happy International Camp T-shirt Day from Tamarack! 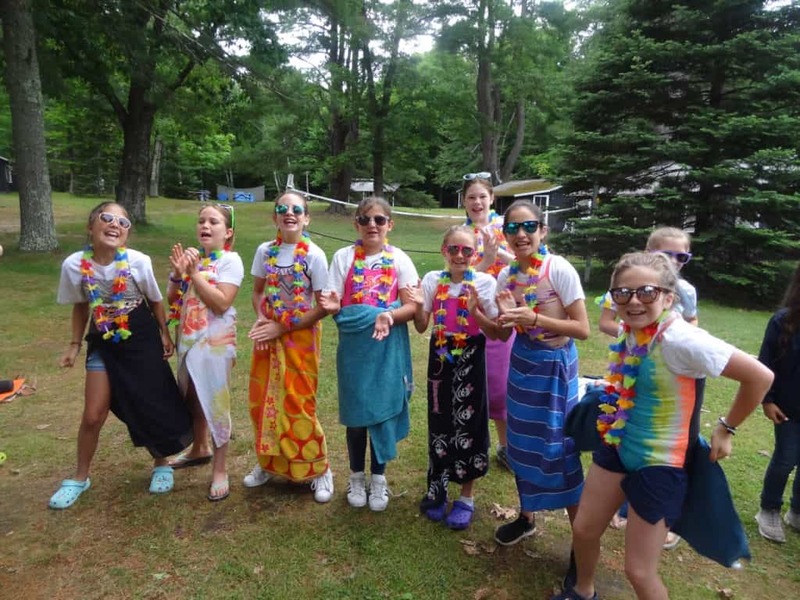 Woodland girls never miss an opportunity to show camp spirit! Whether it be dressing up for the weekly Sunday morning assembly Woodland spirit, making a tie-dye t-shirt with the current summer theme backdrop, going to Towering Pines for a class activity or special event, or being in the end-of-summer Coed Show, we are always proud to sport “Woodland Wear!” As you can see in the photo above, the Tamarack girls are oh-so-cute in their coordinated Woodland t-shirts at the annual Song Contest at the end of the 3rd week. 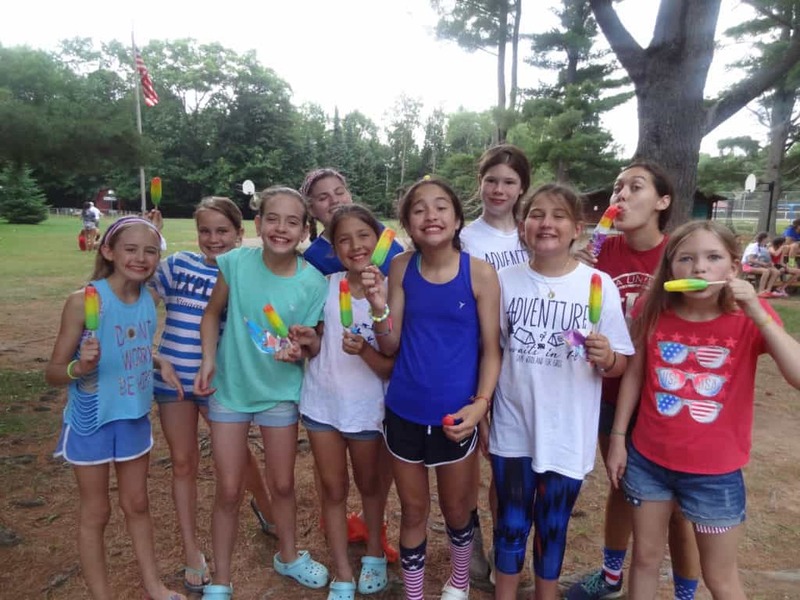 On the last day of camp, the countdown begins for the arrival of the first day of the following summer, so it is fun to have a few “milestones” to mark the passing of time along the way. International t-shirt day in mid-November is definitely one of them (we are closing in on 200 days until camp 2019!). 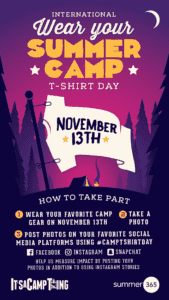 So, grab your favorite camp gear (t-shirt or other item), take a photo, then post on your favorite social media platform using #camptshirtday! Heidi: That getting letters is much more enjoyable than texting! 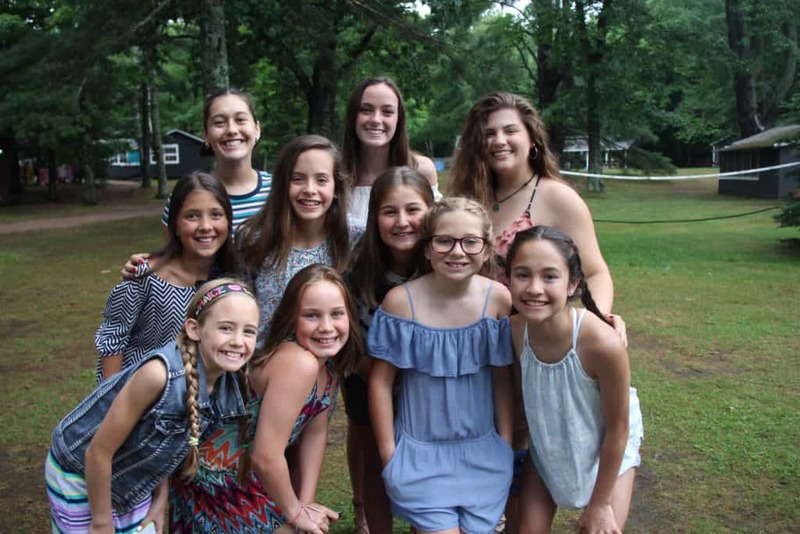 Paz: I met a lot of friends, and I LOVE WOODLAND! Kaitlyn: I became better at swimming and passed into Level 5. Heidi: I learned to try new things; not just foods, but activities, too. Caroline: I’m more able to confide in others and don’t need to filter everything. Heidi: I was complimenting people, and I did my best to make others laugh. Caroline: I am the one who showed my quirky side to make others laugh. Carlota: By cheering me up when I was sad and by making me laugh a lot; I had the best summer of my life! Caroline: It didn’t take long for me to meet someone nice!